Past events only affect us when we continue to think about them. It is over thinking that gives them power. By constantly replaying the events, worrying about them and trying to figure them out, we remove ourselves from living in the now and instead choose to relive the past. There is no good that comes from reliving something over and over again. Learn the lesson and move back into the present. 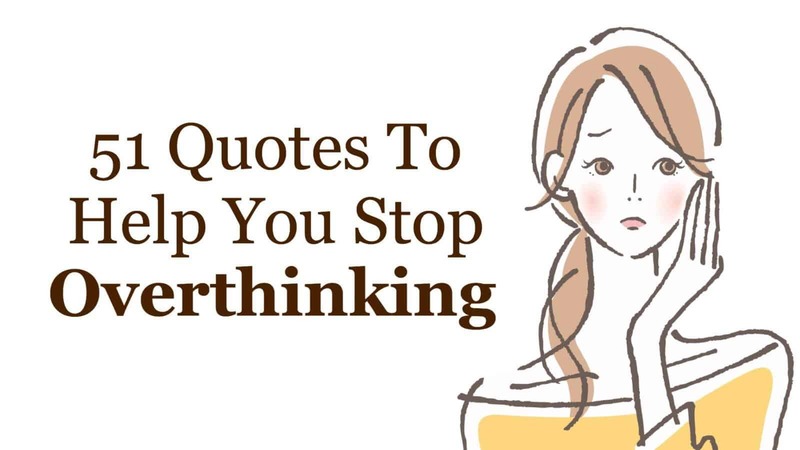 Here are 51 quotes to help you to stop over thinking.